Learn how to make crispy tofu with this step-by-step guide for the perfectly crispy tofu to serve over salads or with your favorite vegetables and rice. 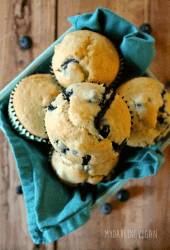 Made in just 10 minutes for a quick and easy addition to any meal. It always surprises me when people tell me they don’t like tofu. While everyone is entitled to their own opinion and I don’t mean to impose all my feelings on others, I immediately think (to myself), “you’re just not cooking it right.” Because how can anyone not like perfectly crispy tofu slathered in your favorite sauce and served with your favorite vegetables? I just don’t get it! I mean some of my FAVORITE dinner recipes center around tofu such as Sautéed Tofu with Peanut Sauce, Tofu Fried Rice, and Thai Red Curry with Tofu. 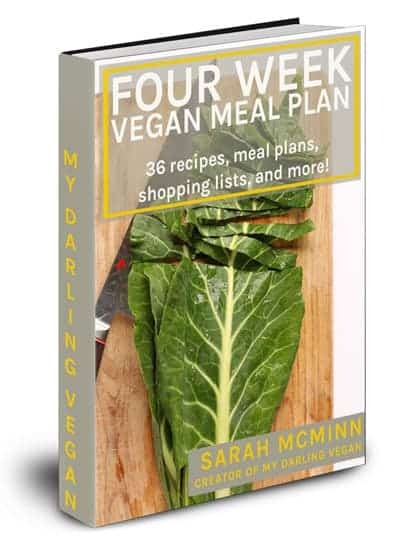 But really, I love all the tofu recipes. It took me years of cooking tofu to finally discover the secrets of crispy tofu. For those of you who truly don’t like tofu, go ahead and ignore me, but for the tofu-curious who just haven’t mastered it yet, let me try and shed some light. Ready for this? Let’s go! Making the perfect pan-fried tofu doesn’t have to be hard. Just follow these step-by-step instructions to get it right every time! When making crispy tofu, high quality, extra firm tofu is a must. 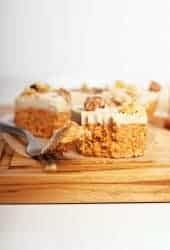 Look for tofu that is not water packed, such as Trader Joe’s High-Protein Tofu or Wildwood’s Super Firm or Sprouted Tofu. 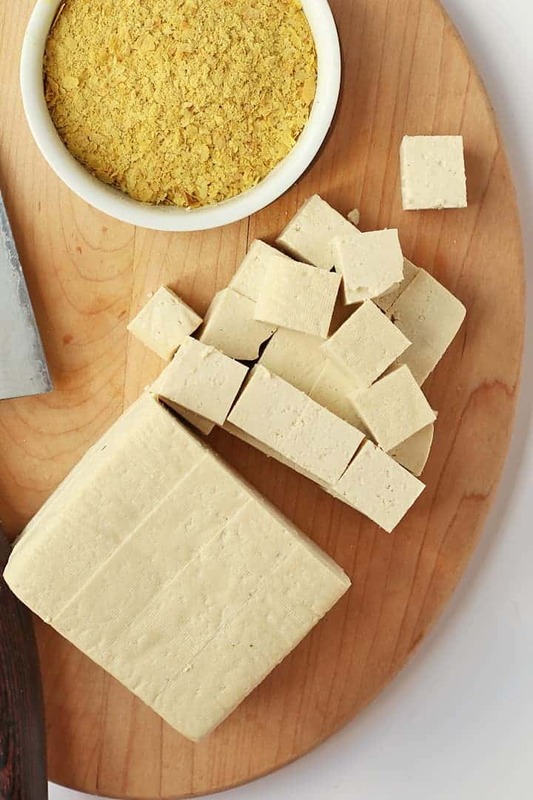 These types of tofu do not have excess water and do not need to be pressed. If you have to use water-packed tofu make sure to press as much water as you can out of it first by using a tofu press or a weighted, towel-lined cutting board. Press the tofu for at least 1 hour. Whether you had to press the tofu or not, dab it dry with a kitchen towel. 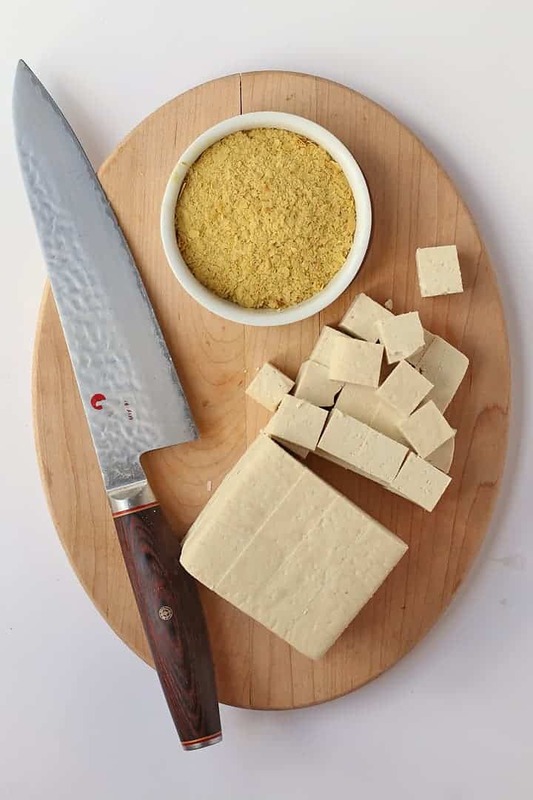 Place it on your cutting board and with a sharp knife, cube the tofu as evenly as possible. This will ensure an even fry. 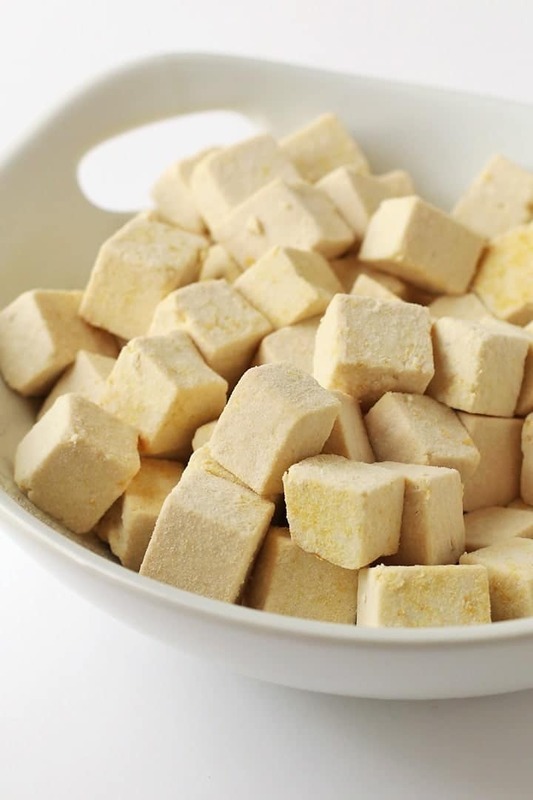 Once your tofu cubes are cut, toss them in a thin layer of cornstarch. The cornstarch will fry up and give the tofu the perfect crisp you desire. 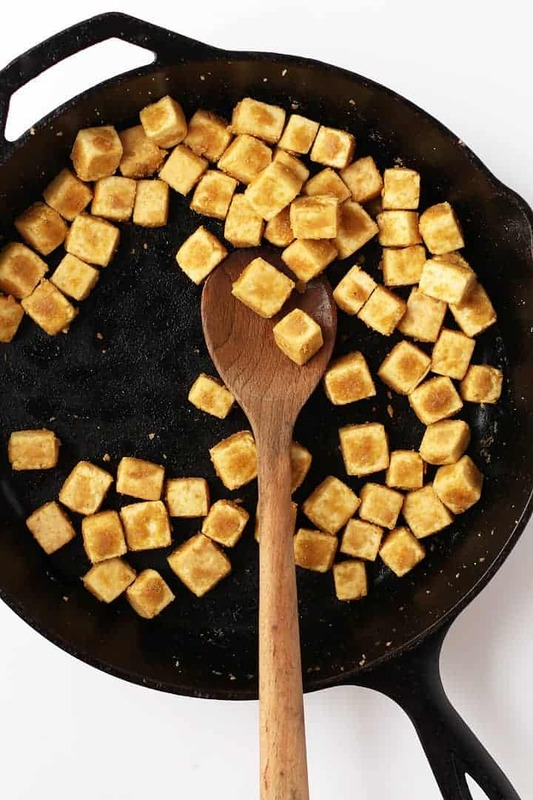 Use a large cast iron skillet for pan-frying your tofu. Cast iron is best because it heats up SUPER HOT and when oiled properly has a non-stick surface. You should use at least at 10″ pan so that there’s enough surface area that the tofu doesn’t stick together, preventing an even fry. Heat the skillet SUPER HOT before adding the oil. Add your oil, rotating the skillet so that it evenly covers the bottom. Heat the oil until it sizzles. Test the heat with a drop of water. If it sizzles immediately, you’re ready to add the tofu. Step Three – fry it up! Add the tofu to the hot oil. Rather than stirring with a spoon, I find that shaking the tofu in the pan allows for more even frying. This also prevents cornstarch from sticking to the bottom of the pan or the stirring spoon. Grab the handle and shake, while still over the heat, for 10 seconds at a time, shaking hard enough so that the tofu is popping around and getting cooked on all sides. Do this every 30 seconds or so. Season your tofu. I add 1-2 tablespoons of nutritional yeast to my tofu. 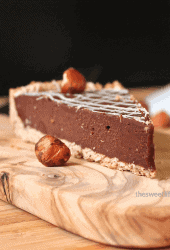 This gives it a nice crust with a delightful cheesy, nutty flavor (not to mention some health benefits). I also add 1 teaspoon of salt to bring out the flavors. Shake the nutritional yeast and salt with the tofu until it’s evenly coated. Make sure to use high-quality, extra-frim tofu. Before using, press out any excess liquid with a tofu press. For crispy skin, toss the tofu in cornstarch. The best way to do this is by placing the cornstarch in a large ziplock bag. Add the tofu and shake it until the tofu is fully coated. Before sautéing, heat the sauté pan so that it’s nice and hot. The tofu should sizzle when it hits the pan. This is to ensure the tofu does not stick to the pan. Shake the tofu frequently when cooking to prevent the tofu from sticking to the bottom and allowing the tofu cooks evenly. Serve crispy tofu immediately. If the pan-fried tofu sits too long it will lose some of its crispness. 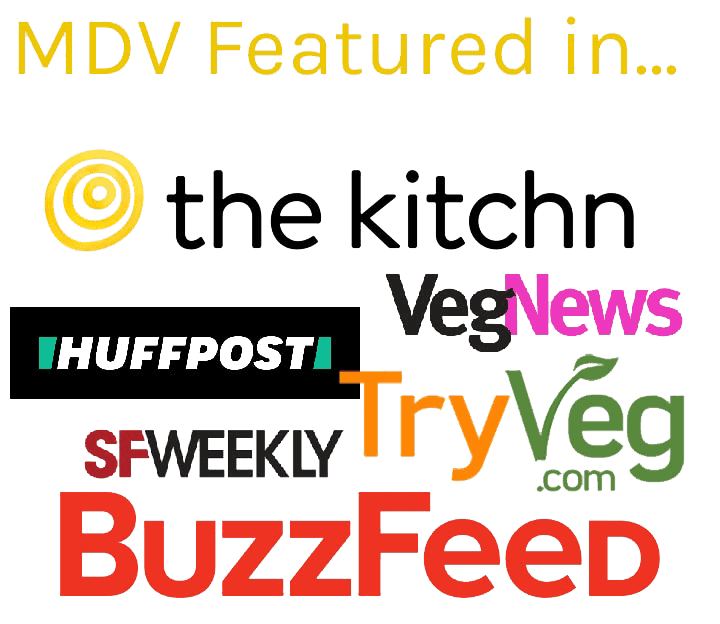 Once you get the art of making perfectly crispy tofu, I believe a whole world of exciting new tofu recipes will open up to you. Sound good? Let’s get started! If the tofu is water packed, press it in a tofu press or wrap it in a kitchen towel and place it underneath a weighted cutting board. Ideally, look for brands that do not need pressing such as Wildwood Super Firm Tofu and Trader Joes High Protein Tofu. 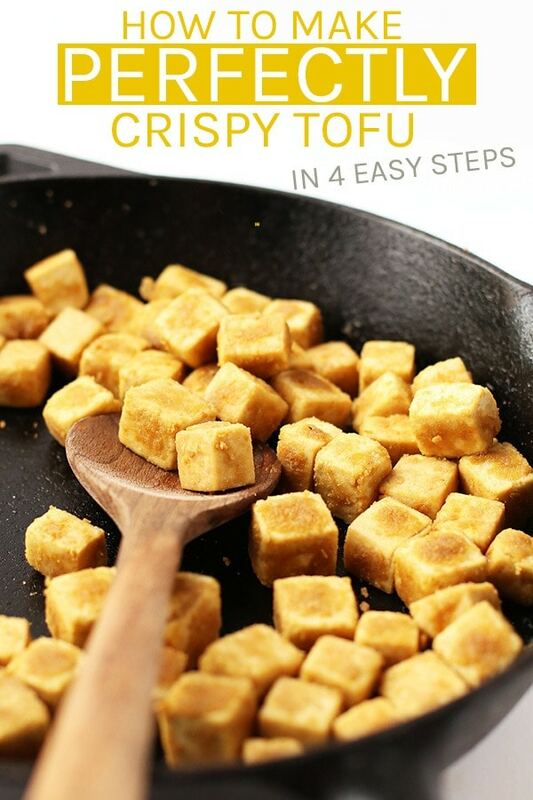 Cut the tofu into 1/2 - 3/4" cubes and place in a large ziplock bag. Add cornstarch and shake until tofu is evenly coated. 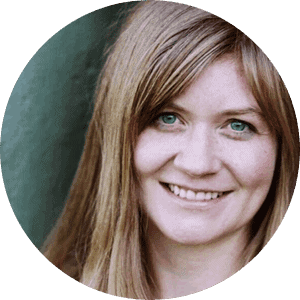 In a large cast iron skillet, heat up coconut oil over medium-high heat until coconut oil sizzles when water is dropped on it. Reduce heat to medium and add cornstarch coated tofu. While tofu cooks, shake the pan by the handle every 10 or 15 seconds so that tofu is always cooking on every side. This also keeps the cornstarch from sticking to the bottom of the pan. Once tofu is cooked and is lightly brown, about 5 minutes, add nutritional yeast and salt. Shake the tofu to evenly coat it and cook for an additional 60 seconds before removing from heat. Serve over a bed of wilted kale, your favorite salad, or over rice and vegetables. Could I substitute sesame oil for the coconut oil? FINALLY!!!! 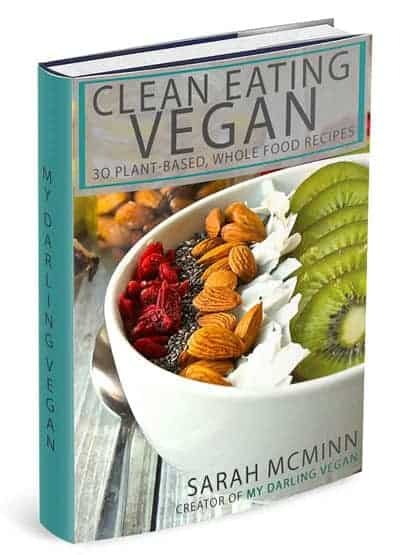 Thank you so much for telling me how to fix good tofu!!! Thank you, Thank you, Thank you!! !